I still remember this morning vividly, though it was five years ago. I strapped on my snowshoes and went out to explore the wonderland created by Mother Nature just hours before I took this photo. 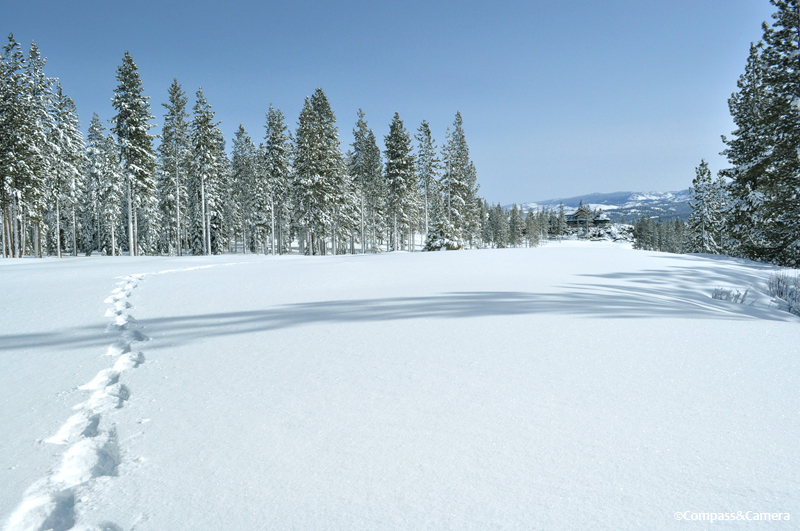 Three feet of fresh powder muffled my steps as I trekked along summer’s 17th fairway. I stopped to take in the view. The fury of the storm had gone, leaving nothing but silence and serenity. 3 feet of powder in Tahoe? Surely you jest. 60 degrees and 2″ of pine needles this January at the Camp. Maybe your return will conjur the white stuff. Great photo Kelly! Let’s hope there’s some snow soon. Or maybe even just a few sprinkles.